I was very excited to find out that we will be testing out the new Quinny Yezz pushchair in the New Year as part of the Quinny Casters program. How cool does this look? I cannot wait. 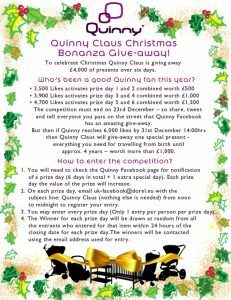 In the meantime, I’d like to share news of the exciting Quinny Claus Christmas Bonanza Competition on their Facebook Page. If you don’t already, pop across and like Quinny to be in with a chance of getting your hands on some amazing prizes. All you need to do is e-mail between 12 midday and 12 midnight on the day of the draw you wish to be included in. You should e-mail uk-facebook@dorel.eu with Quinny Claus as the subject text in order to be included in the draw for that day. Winners are notified within 24 hours of that draw being closed by e-mail. If you wish to be included in the next draw you’ll need to e-mail again between 12 midday and 12 midnight of the draw day you wish to be included in. Share news of the giveaway, because if Quinny gets to 6000 likes by New Year’s Eve, they’ll give away a very special prize worth over £1000 that will provide everything you’ll need to transport your baby from birth to 4 years old. What are you waiting for, go like and enter. 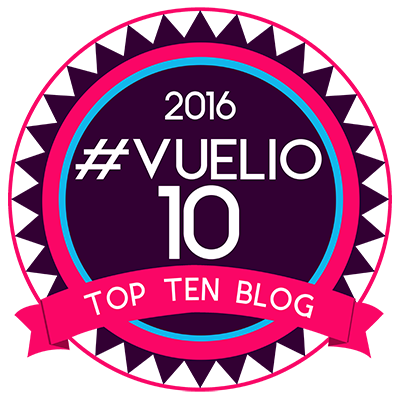 Don’t forget to spread the word of this awesome competition.